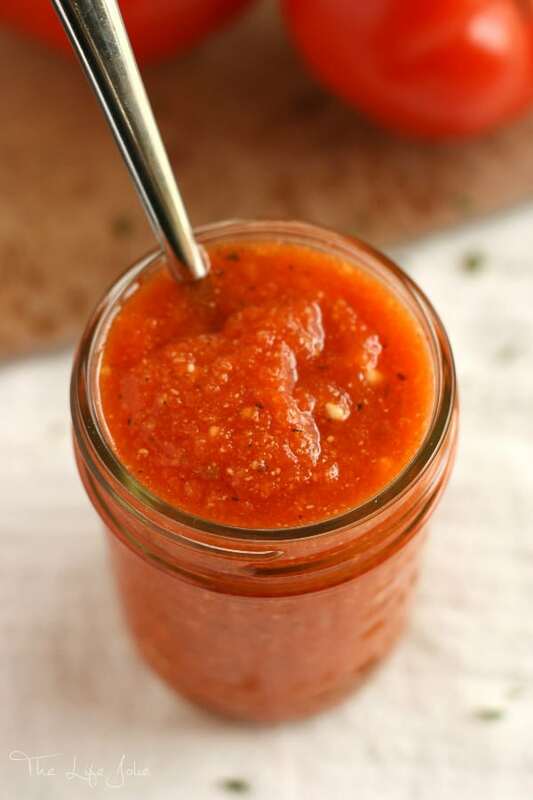 This zesty marinara sauce may be simple to make, but it is legendary in our family. With a secret ingredient the way from my Grandma, this sauce is perfect on pasta or anything else you have cookin’. In my family, homemade marinara sauce is the stuff of legends. All the ladies in our family have their own version of easy marinara sauce recipes, but they generally all turn out pretty delicious. You know you grew up in an Italian family because you can eat pasta and “gravy” every day of the week! 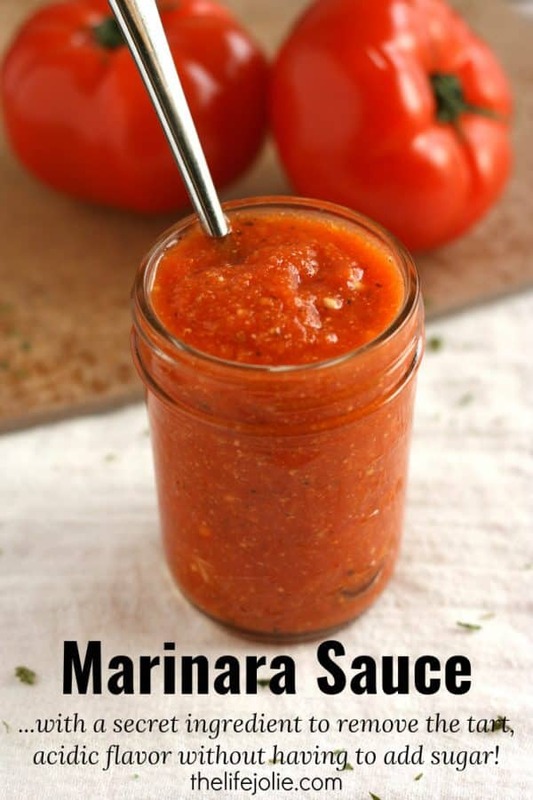 This really is a simple marinara sauce to make. 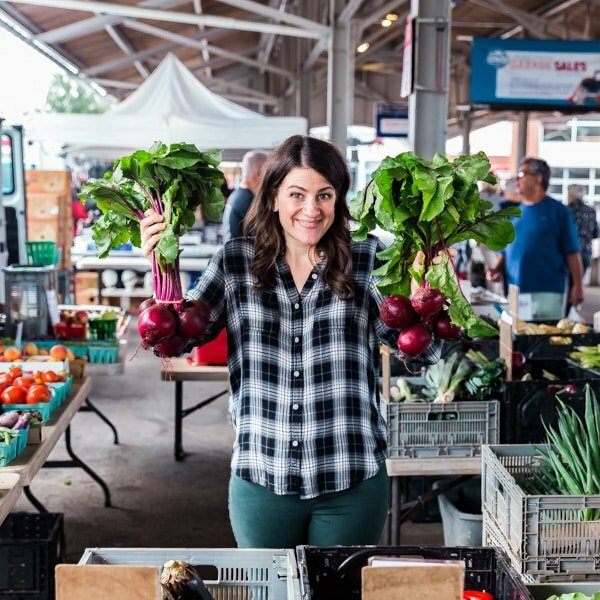 I’ve included a few very simple tricks to remove the tart and acidic flavors from the sauce without ruining it with sugar (and a top secret ingredient that works wonders!). Trust me when I say, you’ll never buy jarred sauce again! This sauce can be simply made in under an hour and it’s even better if you give it enough time for the flavor to develop. This recipe freezes beautifully. Save some for future dishes on the go. Avoid using sugar to cut the acid of the tomatoes. I know this sounds strange, but the baking soda takes care of this. Trust me, Grandma’s never wrong! Once you have the sauce ready there are so many different things you can make with it – don’t limit yourself to pasta. Can you make this with canned tomatoes? Yes, you can make this with fresh tomatoes or canned. Obviously, canned is easier. But one cannot beat the flavor of fresh tomatoes. Can you freeze this recipe? This recipe makes a big old batch of sauce! It freezes beautifully and once you have the sauce ready there are so many different things you can make with it. Can this be used as pizza sauce? Absolutely! 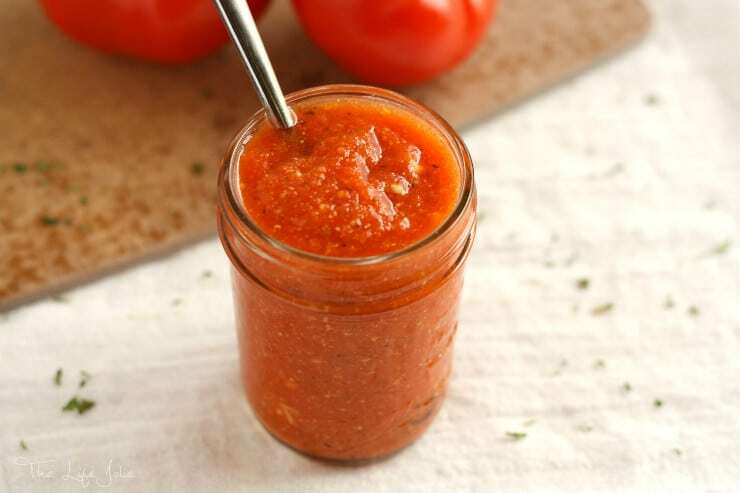 This tasty sauce is versatile enough to be used on so much more than just pasta: pizza, sub sandwiches, and stuffed peppers, just to name a few! How do you reheat marinara sauce? I do it in a small sauce pan on the stove, but in a pinch, the microwave works great (just be sure to cover it to avoid splatter). 1 large onion, peeled and poked all over with the tip of your knife. Heat oil over medium heat and saute half of the garlic until it's a nice golden brown on all sides (make sure it doesn’t burn- if it burns, you’ll need to wash the pan and start over again because burnt garlic destroys the flavor of anything it’s in). Once browned, remove the garlic and add tomato puree. If you’re using cans, Mix a 1/2 can water between the cans to get excess puree out and to thin the sauce a bit (you can also add more or less brings it to the texture of your liking- maybe start with half and go from there). Bring sauce to a boil and once boiling, stir in some baking soda- start with a 1/4 teaspoon and add more if needed. The baking soda is going to make the acid bubble up to the top. Skim off the foam from the acid and dispose of it (you’ll notice it’s a slightly different shade of red than your sauce). If you need more baking soda you can always add it and repeat the process, but use it sparingly because too much will add an oddly bitter flavor. Once all the acid bubbles are removed, add onion and remaining garlic (if you want a really strong garlic flavor, you can always use a garlic press). Reduce heat to low and simmer for at least an hour but preferably longer (I like to go 3 hours- if you’re worried about splatter you can always partially cover the pan). Once the time is up, remove the onion and garlic and and add the basil (I rub this between my hands to break it up even more and release more flavor) and Romano cheese to taste. 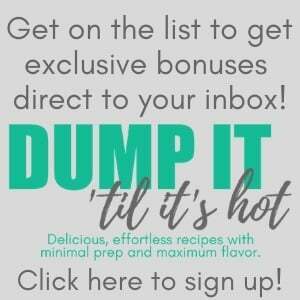 Serve immediately or later- or freeze it! February 8, 2016 at 9:24 am I LOVE homemade sauces. I make spaghetti sauce like crazy in the fall. I never seem to make enough though! 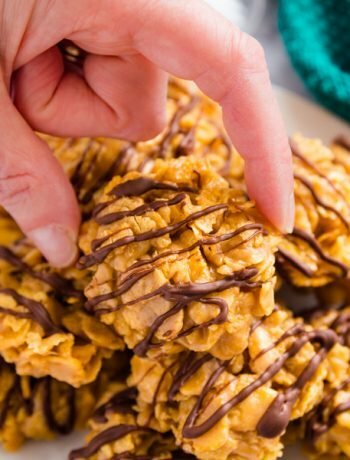 February 8, 2016 at 9:28 am This looks yummy! 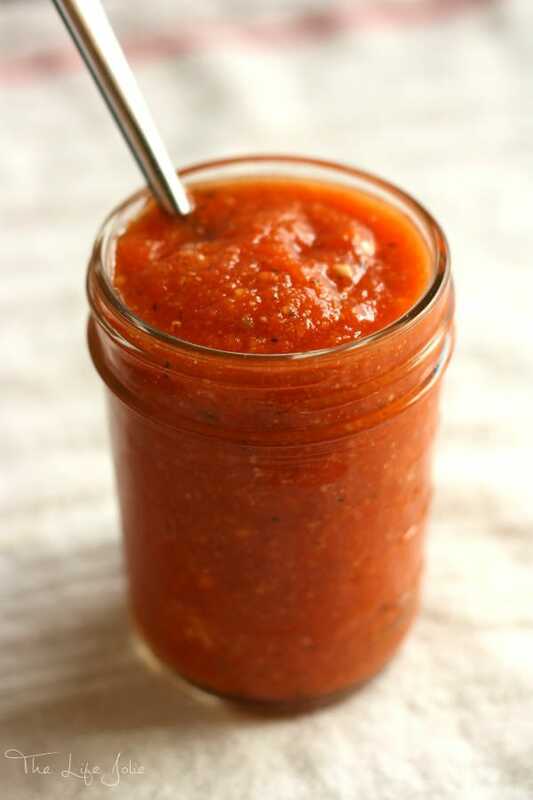 I am always looking for a easy marinara sauce for busy nights where I want pasta. This looks like a winner! February 8, 2016 at 10:30 am Thank you- I hope you enjoy it. I think you'll find it gets better each time you make it! February 10, 2016 at 10:59 am Thank you! Yes, I love not having to do store bought! February 13, 2016 at 3:47 pm There really is nothing like homemade sauce! February 16, 2016 at 2:19 pm Love everything about this post! 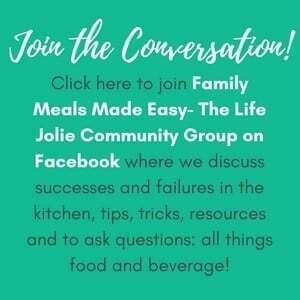 I agree so much that adding too much messes up a sauce...ahhh such a simple easy amazing recipe that so many people just mess up by adding and adding. I haven't added cheese to mine, but may need to try that. February 16, 2016 at 9:41 pm Yes! I think I just really love Romano cheese. It just makes everything better (and yes, I'm the girl that keeps a baggie of cheese in my work refrigerator and I am not sorry! ).